It comes as no surprise that the Professional Game Match Officials Limited (PGMOL) company name gives no obvious clue that their business is referees. The PGMOL (Registered Company No 4195554) was established in 2001 and is responsible for the training, development, and monitoring of an elite group of Referees and supporting Assistant Referees, as well as a National list of Referees and Assistant Referees. Their aim to ‘educate’ has hardly been helped by closing down there own website in the summer of 2011. Why so secretive? Certainly in January 2009 there were major changes when PGMOL Directors Brian Barwick (Chief Executive of the F.A.) and Richard Scudamore (Chief Executive of the Premier League) resigned their posts. The PGMOL appointed Mike Riley as its General Manager Designate taking effect from 1st September 2009 with the departing Keith Hackett completing a handover period by January 2010. So ended the illustrious refereeing career of Riley who Gunners fans will know allowed Manchester United to kick Arsenal off the park, award a penalty for a Wayne Rooney dive, and end Arsenals unbeaten run in October 2004. These three members are the ultimate parent company and controlling party of the PGMOL and are the source of the most of their money. This total of £6.38 million is of course ultimately generated by fans supporting their clubs, buying TV subscriptions etc. The PGMOL also have their own sponsors who were listed on their no longer available website. Why so secretive? The PGMOL arranges its sponsorship in three year cycles. Starting in 2007/8 they included Air Asia (Official Sponsor), Lucozade (Official Supplier), Umbro (Official Kit Supplier) and Polar Heart Monitors (Official Suppliers). The Tune Group (Principal Partner) three year sponsorship deal started in the 2010/11 season and whilst not published is said, by the sponsor, to be a seven figure sum. The Tune Group logos can currently be seen on the sleeves of referees. Smart sponsorship, plenty of TV coverage as they book Gareth Bale for diving again. Air Asia and Tune Group who together will have provided six years of PGMOL sponsorship are particularly interesting because they are both owned by the same man. The successful Malaysian businessman Tony Fernandes spotted a comparatively inexpensive way to get his brands in front of the global TV audience that are football fans. Tune Group is the parent company of the PGMOL’s previous sponsor Air Asia. Tony Fernandes also owns the Lotus formula One team which returned to the grid in 2010 and was why he was on hand to buy QPR from Bernie Ecclestone/Flavio Briatore. Yes, not only does Tony Fernandes sponsor the PGMOL through Tune Group, he also owns the Premier League club Queens Park Rangers. That in my book is a conflict of interest and should not happen. Perhaps they would prefer it had remained a secret. “There is no direct contact between Tune and PGMO officials, and this will continue, the sponsorship was agreed by the PGMO board, made up of an independent chairman and representatives from the Football Association, Premier League and Football League”. The officials board said the sponsorship is a “valued partnership”. Many would disagree, I think this arrangement remains a serious conflict of interest and would be unacceptable in any other sphere of competition. Arsenal/Newcastle: The ref’s decision not to give a foul was so ludicrous that even the Newcastle players stopped the game. Could you write a regular column in Untold Arsenal? Oh Thank you, Dave Right. I haven’t read your article yet as I’m busy downloading the link within it. THIS IS THE ONE. This is the video that shows you all you need to know about That Man In The Middle. BOB/all: Get a program like “Keepvid” – and keep this file as it key evidence of refshite (and it will be taken down soon). I’ll get back to reading this article, and again, thanks, Dave. (doesn’t deserve to be there) is outplayed by 7th placed side in La Liga, yeah it definitely makes epl the ‘self-proclaimed’ best league in the world look like a joke. @Rantetta, Even better way is to download videocacheview software. Looking at QPR’s position, the conflict doesn’t seem to be helping? And certainly doesn’t explain some the shocking decisions they’ve suffered. But an article this morning by Captain Cook in the Mercury has great relevence…albeit that he was talking about the game played with the oval ball! “The cognoscenti are beginning to rumble about referees. Refs dish out yellow cards (10 minute sin bin), Red cards (sending off) and now white cards which mean that the offender will be automatically cited. “Why- given some of the appalling refereeing decisions- should refs not also be cited? Why should the side that believes it has been badly wronged not get the ref to appear before a board of enquiry? “In today’s game with so much at stake (my note…and in the PL the stakes are vastly higher than in rugby), WHY SHOULD THE REFEREES CONTINUE TO HAVE “ROYAL GAME” STATUS. Let them be accountable like the players. Now there’s a thought. I’ll volunteer for the Probert squad. We’d have won the league in 2008 if it wasn’t for bent referee decisions. It’s so blantant its funny, yet the press are quite happy to the let the status quo continue. It’s a joke – best league in the world my hole, the best league in the world can’t have the same team win it 75% of the time. Funny thing is if refs were brought to task then Yoonited wouldn’t have all the rub of the green = less titles = more competive league and then we could have the best league in the world. One might also ask whether Mr Attwood’s commercial dealings with Arsenal FC impinge upon what is written at this website! Wouldn’t want his contracts ripped up for being too critical, would we?? 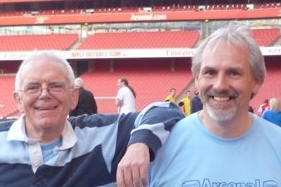 Would Mr Attwood declare the totality of his receipts from Arsenal FC in the past 10 years? Sauce for the goose, after all……. I can’t see anything untoward in the Leagues and the FA controlling a referees association. In principle it’s perfectly sensible. It allows the League and not shady third parties to pick who referees which games. Of course, if the League is bent, it’s a problem. But see here: what happens if the Referees are supplied by some independent organisation? Use a UK front organisation but slip in some dodgy Asian money to pick referees for certain gambling fixes. How do you police that? Are we saying that when Brian Barwick was on the Board of PGMOL that Liverpool were getting decisions their way? Clearly there is no suggestion that the appointment of Riley suddenly changed the match fixing Man Utd’s way, because you lot here are saying clearly that it was going on long before that. Rightly or wrongly…….So the composition of the Board isn’t the critical thing, unless Scudamore was a Utd stooge. Barwick certainly wasn’t. Just remember something else: when Tony Fernandes was sponsoring PGMOL, he wasn’t the owner of QPR. You can ask whether his subsequent purchase raised a conflict, but you can’t imply that he was acting wrongly before. Because he wasn’t. He had every right to sponsor PGMOL so long as he wasn’t fixing matches through that sponsorship and for you to imply otherwise is consistent with much of the smearing which goes on on this site. I’d like you to write a personal letter of apology to Mr Fernandes for that and publish it in the next Arsenal programme, the sort of grovelling apology for your self-righteous rubbish which is more than due to a lot of people in this country. Unless you can produce evidence that he was in on match fixing and gaining financially as a result of his sponsorship. You can publish the entire dealings between your company and Arsenal FC too, Mr Attwood. It’s relevant……because if it turns out that your slant on Arsene Wenger is the price of being awarded Arsenal FC contracts, then you are every bit as corrupt as all the people you rail about, sonny jim…….. Meditation I agree there is some interesting stuff on that site, but it also slips into things that need more explanation or exploration. “Thirty years since a hat-trick in the Merseyside Derby! Only Steven Gerrard’s second hat-trick of his career!! Gerrard and Everton goalkeeper Tim Howard possess agents who are directly linked!!! I don’t think that’s enough really, because coincidences do exist. Consider the first name of our manager and the name of our club. Do we now say, “What a weird fluke”. I am not putting down these sites, as there is some good stuff there, but some of it just doesn’t go anywhere, and that’s a shame because that stuff just gets in the way of the serious analysis. Ahhh..the old throwing mud act. Whenever someone raises talk of demanding accountability, let’s try and attack him/her personally. I am not speaking for Tony, he can do that himself, if he so wishes.. But I have no ties to Arsenal in the monetary sense, and I do not rely on Untold or any of Tony’s companies to watch football. As such, the FA, Premier League and the PGMOL are, or should be, obliged to be as transparent as can be. Every action of their’s is the opposite. Stop defending status quo in the football power/money dynamic. Something is clearly not right in football and every line of enquiry doesn’t deserve to be shut down just because it isn’t 100% accurate. We wouldn’t need, nor have interest in those sort of theories if the football authorities came clean and opened up in the first place. Always a pleasure to ‘talk’ to you Rhys. @Rhys: The reason I come on to Untold is because I believe people here are more rational than most fans and it is a pleasure to talk and debate things here. If Tony is even getting paid by Arsenal to talk good stuff about it on a site….I’m trying to think why this is morally wrong, or wrong in any way. The worst that could be imagined is that he isn’t an Arsenal fan at all and everything he writes on this site is just coz he is getting paid by AFC and he believes none of it. Assuming that this is true (playing devil’s advocate like you) it still doesn’t take away the fact that Untold is a cool place to discuss numerous aspects of football very rationally and has a place in the Arsenal blogosphere…much like Le Grove and the other trash. And really…what’s so terrible about asking referees to be more open minded and receptive to criticism? You open your mouth and you’re fined or banned. Why are they so scared? Maybe that’s how they’re ‘protected’? I really understand very little of how big business works but what I’m saying (and possibly echoing the thoughts of many) here is simple… If you have nothing to hide, why not publish data about the statistics of 99% correct decisions and the criteria that referees apply…and look to improve on them every year? If that happened….I’m reasonably certain that everyone would love to discuss ways on how things can be improved, instead of criticize referees (lot of which is valid). If only the PGMOL would live up to their stated and I quote ‘intention not only to meet the demands of the modern game but also educate managers, players, fans and the media when it comes to the challenge facing referees today’ we might find out how referees are picked for particular games. Nobody is implying that Tony Fernandes has done anything improper. It is the PGMOL who find themselves in a position where their loyalties may be divided i.e. receiving sponsorship whilst delivering impartial refereeing for Queens Park Rangers. A conflict of interest has the potential to lead to wrongdoing and is generally forbidden in company codes of conduct. You really should read more carefully before you go off on one. Tony i dont leave links for sheep. That link was to show the coincidence between the match reviews on this site and its findings. Maybe i should tell people to not see things in black and white. When i research i dont just take things for facts. I look at signs then research. You should know that by now. Also its not to reflect my core but to ask questions. @ rhys. This is non of my business but are you assuming every reader on this site acts as sheep. Ignorance is bliss for yourself whilst you say the readers live blissfully ignorant. Thats what happens when you choose to ignore the value of the opposite. You made valid points but only used them without using the same theory on whether or not there could be conflicting interests. but tony has conflicting interests?. Does tony sponsor arsenal?. The readers are paranoid but you say paranoid statements. The belguim links? Look beyond yourself mate. You usually find out you dont know everything. Another Manager with a similar name to their club:- Mancini. It’s quite odd when we play Man City nowadays. Is it Arsene vs Mancini, Arsene vs Man City…. Also, didn’t Emirates give a lot of money to Arsenal from 2004, with shirt sponsorship from 2006, whilst also sponsoring the referees until the end of the 06/07 season? No thoughts on a conflict of interest there? @Dave, I enjoyed this article, it is good to have the PGMOL and its parent company outlined in some detail. What would additionally interest me is the fate of the £6.38m and the additional money from other sources. @Rhys, you really do seem to have some sort of problem – why don’t you come out with it for once and for all, rather continually snipe at those who use their spare time to fight for fair play on the field – something which the PGMOL should ensure, but spectacularly fail to deliver. @Dave Right. Maybe it was this link between Mr Fernandez & PGMO being made public that scuppered his attempts to buy West Ham, Plus, I believe QPRs losing streak could be put down to down to the fact that they do not want to look to obvious and need them to be relegated to discredit any accusations. Food for thought only? @Rhys, I personally can’t stand the sensationalist tripe trotted out by the daily mail or the scum, so do I read them to further infuriate myself, then take the time to vent my spleen on their website? Of course I do, but then I’ve always been a bit of a knobhead like you. BTW, the info on refs has now moved completely to the FA’s website. The PGMO site was taken down as it had relatively little traffic and there was little resource within the organisation to keep it up-to-date. You are a nasty piece of work. do you mean today’s article, this one, or another that’s not being named. just want to be clear on which you mean. cheers! just when i thought this blog couldnt get any better they creat a moriarty. hilarious. You come here for monologue from rational people? …Anyway – their data was well seeded with inaccuracies, which was interesting in itself from an analytical point of view. Ponder that – lies [or mistakes] on their own site about whom was officiating what, not many but significant. (This is the same file that once appeared under the name: Man U kick Arsenal off the park. It appeared on Youtube more than once, and always get taken down, just like Arsenal players’ leg-breaks, or even bad decisions). Bob, I’m so glad for what you’ve written above, to you know who. (I can’t even write the name). That person has spent at least 92.3% of his time here SPOUTING NEGATIVITY! I see the name and most times – just ignore it. But I happened upon something written a few days ago, by the (un)said person. He wrote about Walter being on here to promote his Benelux site. I felt awful. For starters, I haven’t seen anything about Benelux (sorry, spelling probably wrong) for years. Perhaps I’ve missed something. The thing is, whenever it was, I checked in on that site, and it gave me nothing but joy – to see people from different countries – spouting there love for the Arsenal. These folk were encouraged to check out Untold. There were people writing about how they could access this or that, to do with Arsenal. There was/is some networking between other sites (in Eastern Europe, for example, and elsewhere). This, to me – is ALL GOOD. Positive. I’d planed to make some comments re: the ref review from the Newcastle match. However, by the time I was ready to write them, I saw the sad news about the bus crash in Switzerland, written by Walter. Boy, that made me gulp!, just reading the first couple of paragraphs. And then I read the beautiful poem – transcribed by Walter. (Now I could really feel it). But when I read the paragraph beginning: “And with the risk of another Rhys attack …”, – (almost as though justify mentioning where the children are from), … I just felt… (I can’t remember, exactly), perhaps, sick. “Sick”, because I’ve long witnessed RJ bringing BILE to this site. I couldn’t stop thinking of all the negativity that makes me skip over the stuff he writes – whilst at the same time, trying to pray, or ‘send the victims some positive thoughts’. (I’ve been unusually touched, perhaps, because while I try to sort of “avoid” tragic stories from around the world, I’m content to feel, and read – about a tragedy, from a man whose writing and tales, have positively – lighten me up. Before I found Untold, most stuff I saw on Arsenal blogs was “slit your wrist” stuff, for me! Honestly. So I “get to know” Walter, through wonderful articles. Oh joy. And in this relationship I’m admiring him because he’s a ref and he’s being as honest as he can. He’s doing a huge amount of work for this site and yet he’s got other sites. I really appreciate that. I know it isn’t just for me, and yet I feel he and other regular writers on Untold – are doing just that – writing for me. This is how highly I rate the site. This is how much I enjoy the articles, written by fellow Gooners. “The only place I can go after a disappointing result”. I can’t imagine how Walter feels at this time, given what has happened to folk from his immediate area, yet he still engages, positively with this site (and obviously, with his family and colleagues). What an amazing human you are, Walter. I am not alone in Choosing to learn from the writers here, and the commentators. I sometimes disagree with very small things (Sagna was assaulted!, says I), but I guess the democracy of this site is but one thing that makes it – brilliant. This means writers can have a different opinion, and that’s good. Bob, your seven words above, to that writer – entirely, sum it up. I must say, this is an excellent article, Dave Right, and there are many great comments, and ta, Arvind, for the link to the BBC article from the time, which I don’t remember from 2004 (denial, probably). I see you have 4 other great videos, Dave: “Gareth does one”. “Szczesny v Bale HD”. “Ryan Shawcross v Aaron Ramsey”. “Some bits not on MOTD – Arsenal v Bolton”. The last in that list is the one I haven’t seen, though I watched the match live and couldn’t believe the way Davis head-butted our No. 6, let alone that shocking 2 – footer from Cahill (beautiful keyboards, by the way). And don’t miss Davies trying to break his friend, Wilshere’s – legs. Listen to the commentators. Andy Gray seems to be allowed to be honest (2004, remember. The main guy – well). According to the official website Everton have won 4 out of their last 5 epl matches at Emirates. Rooting for one Manchester side over another is a choice between two diseases fatal to fair play. But, historically speaking, on the evidence of this video alone, the choice is a no brainer. And, of course, the Hives of Riley will be busy-beeing spreading honey amidst the roses strewn on the path to His Coronation. On the evidence of this video, Riley will be doing his ultimate service to his Don. There is far more honesty in World Wrestling Federation. The conflict of interests explains why we won the treble that year. Oh wait a minute. I get what you’re saying though but maybe it just illustrates Arsenal are not a bent club. For Riley to be the boss of PGMOL after that performance against Arsenal in 2004 shows what direction the football authority is towing. It is a shame for any referee to be associated with such a match like that in whatever capacity talkless of such being made the referees’ boss some few years afterward. There obviously is no hope for Manchester City in the run in for the title this year. They will become victims of some disatrous officiating both at home and away from now while all the decisions would be going Manchester United’s way. For any reasonable and dignified person to want to go about winning the titles as AF has over the past decades is dumbfounding. It reflects moral values of the lowest order in my opinion. Well spotted, Arun. How could they get that so wrong? Bob – I don’t know how to praise you for your piece above. “Master of summaries”, perhaps). Anyway, it’s fantastic. I’m tempted to send to a couple of ManU fans I know (who live in London, of course). PMSL at this: One might also ask whether Mr Attwood’s commercial dealings with Arsenal FC impinge upon what is written at this website! I’ve never seen quite such a bizarre take on conflict of interest. UA does not purport to be completely unbiased and balanced in it’s reporting of Arsenal news, the bloody strapline is “Supporting the Lord Wenger, coach of the decade”. Now if the site were to purport to be “casting a critical eye over the management of Arsenal football club” and the owner/publisher were to have a commercial relationship with the club, then yes, you would be correct, a conflict of interest could exist. One could equally point out that a site highly critical of the majority shareholder of a company, with commercial links to a minor shareholder looking to execute a hostile takeover, could find itself in some extremely hot water. Attempting to deliberately devalue a shareholding by publishing misleading and deliberately inaccurate articles comes under the heading of market abuse, which I believe is covered by section 118 of the Financial Services and Markets Act, 2000. Which from my reading would apply to publicly traded shares, as shares in Arsenal are. My opinion would be that a prosecution would be difficult but not impossible if there were no links to an interested party but in the event that there were a link the chances of prosecution would skyrocket. Also, Section 397, (3)Any person who does any act or engages in any course of conduct which creates a false or misleading impression as to the market in or the price or value of any relevant investments is guilty of an offence if he does so for the purpose of creating that impression and of thereby inducing another person to acquire, dispose of, subscribe for or underwrite those investments or to refrain from doing so or to exercise, or refrain from exercising, any rights conferred by those investments. The moral of the story, kids, is check your facts before publishing any old rubbish about a company listed on a stock exchange in the UK! it was interesting to see Mike Dean in Division Two match Bristol Rovers v AFC Wimbledon today. I know he’s been his usual self lately and there were hardly any Premier League games on due to FA Cup, but surely PGMOL wouldn’t drop him three divisions would they? He did OK but upset the Rovers fans by not booking AFCW’s keeper. @masterstroke – and the previous gameweek he did the Championship match between Brighton and Portsmouth. Is he being punished for something? You should a button to link/shar on FaceBook and Twitter – at least … news and stats like this should be circulated as much as possible …. Like the ‘ShareThis’ button that immediately precedes the comments section? Could Dean be being punished for visibly celebrating Tottenham’s goal against Arsenal?